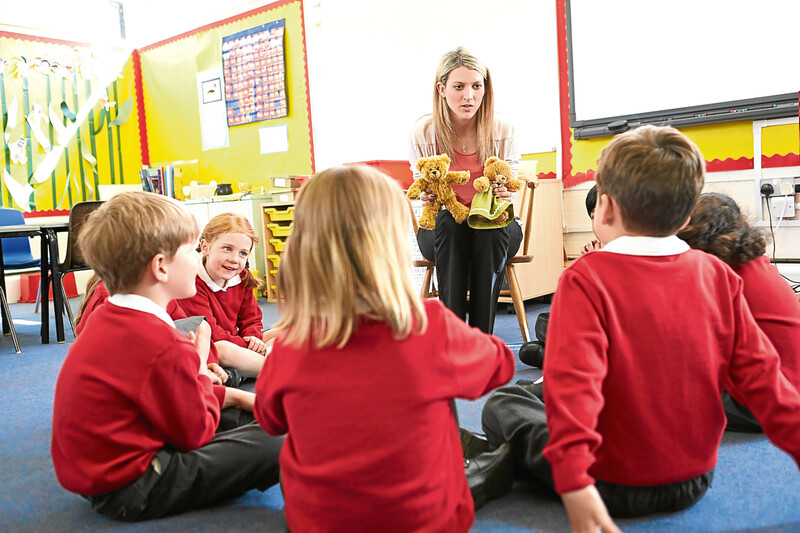 Teachers across Scotland have overwhelmingly accepted a 13% pay proposal with their campaign heralded a significant success. Lecturers have passed a no confidence vote on the umbrella body for the college sector in Scotland. Scotland’s largest teaching union has suspended plans to ballot members over strike action after a revised pay offer was put forward. 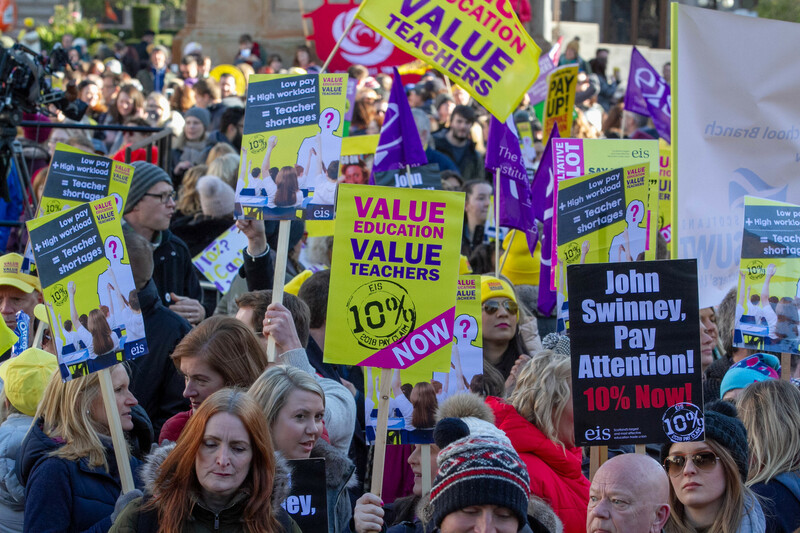 The Scottish Government has just one week to improve its pay offer to teachers or union members will vote on strike action, the EIS has warned. Scotland’s largest teaching union has announced the date of potential strike action. College lecturers across Scotland have taken to the picket lines for a second day amid a pay dispute. 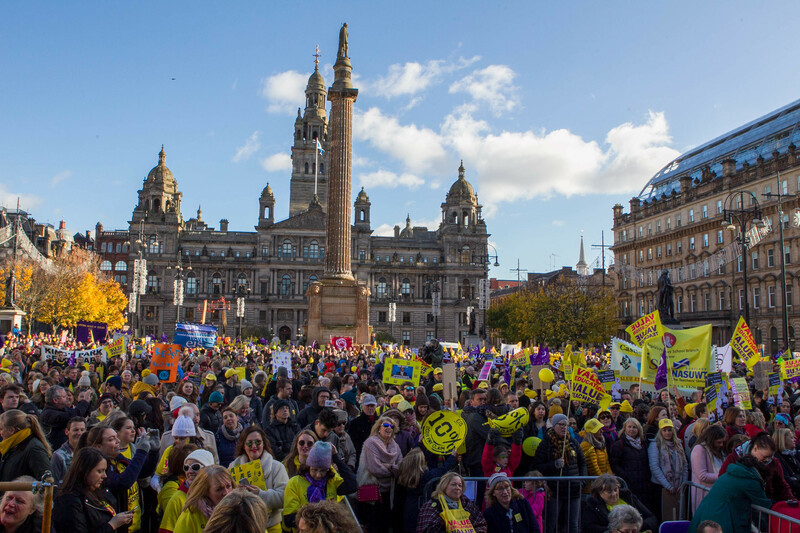 UP to 30,000 teachers marched through Glasgow yesterday calling for an increase in pay. THOUSANDS of teachers from across Scotland have staged a march in support of calls for a 10% rise in pay. THE Scottish Government has denied it plans to bypass universities when tendering for new routes to teacher training after a union raised concerns.